We’re not going to tell you how to play roulette – instead we’re going to tell you how to play the game at casinos using a cryptocurrency such as Bitcoin and what to look for in a live casino before you deposit and play. Right now anything crypto is the latest buzz in the online gambling world. Many folk have invested in it because of its potential growth and it’s something to pad their pension funds with. The past year alone Bitcoin has grown 14 fold making it a good investment opportunity despite its volatility. Bitcoin is pseudonymous, it’s popular with players from the United States who use it to play online roulette games because it nullifies the effects of the UIGEA (Unlawful Internet Gambling enforcement Act). Those in the know will tell you that a digital currency like Bitcoin erases geographical boundaries, transaction fees are cheap, it’s secure, provides a degree of anonymity and there are no chargebacks making it the ideal deposit and cash out method. Bitcoin’s is a decentralized crypotcurrency that’s not regulated by a bank or government as such it leaves no paper trail. Authorities often slate it because it can be used to launder money, other nefarious activities and players can dodge tax by not declaring big wins. One thing is certain this new technology’s disruptive nature (blockchain) revolutionized the virtual world of gambling in more ways than one. The bottom line is Bitcoin cannot be regulated and its price is governed by the laws of supply and demand. 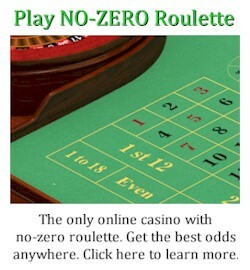 So, if you like playing roulette how do you use it to wager online? The first thing you need to do is to register an account with a Bitcoin wallet, this site gives you a step by step explanation how to set one up. Once you’ve registered an account and transferred bitcoins from your credit card to your wallet you’re good to go, or are you? The next step is to find a live roulette dealer casino that’s reputable and one that offers a robust live dealer platform. Licensing. The operator must be licensed in a credible jurisdiction such as the UK (United Kingdom Gambling Commission), Malta (LGA), Curacao, Alderney, Gibraltar, Isle of Man, or even Costa Rica. The latter jurisdiction is often frowned upon because of its relaxed online gambling laws. Where do I find a casino’s licensing info? The licensing information can be found at the footer section on the casino’s web page. When you click on the badge it displays in which jurisdiction the operator is licensed and its registration number. Never play at unlicensed casinos because they don’t play player winnings. Software and Games. The top software providers of live dealer casinos are Evolution Gaming, Playtech, NetEnt (limited amount), Microgaming, Amaya/HoGaming, Evolutionary iGaming and Opus Gaming. Each live roulette game developer comes with its own pros and cons. If you’re not sure about the legitimacy of the casino you can start a thread at sites like the GPWA, Affiliate Guard Dog and Casinomeister. There have been isolated cases where pirated software has been used without the software providers’ consent or knowledge. 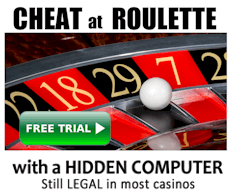 Live roulette table games are streamed from a live studio to your PC through a webcam. Normally the video and audio quality is good and the live dealer games are available 24/7. The games are fully compatible with mobile phones (Androids, iPhones, tablets) and the casinos give full disclosure of their RTP’s and the house rules of each game. Promotions and Rewards. The live casino you’re about to play at must offer you a roulette welcome bonus with attainable bonus terms (40xb). The ‘Promotions‘ tab tells you about the casinos current and forthcoming promotions. 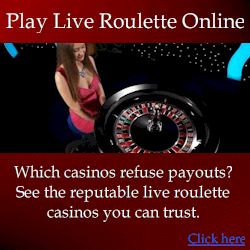 Unfortunately live roulette games cannot be played for free. Check if the operator awards comps that can be converted into real cash once you’ve notched up a few. If you’re a high roller the casino must offer you added incentives starting with rebate on your losses, comps, a dedicated VIP manager, special gifts, bonuses and increased withdrawal limits. Provably Fair. A distinct advantage Bitcoin live dealer casinos have over traditional casinos is that all their games are provably fair. According to Dicesites.com it’s a tool that enables the player to verify each roll result of the dice, one can say it’s a foolproof mechanism against cheating. Customer support. Live roulette players must be able to reach the casino 24/7 through live chat, email or telephone and they must handle all queries in a timely and professional manner. Withdrawal limits. Visit the site’s banking section (terms and conditions), check its cash out limits for Bitcoin. If you had a big win at the roulette table the last thing you want is your cash to be paid out in bits and pieces – the casino must pay all wins in one lump sum. Bitcoin transactions are normally handled within a few minutes up to 24 hours. Many online casinos offer roulette where the stakes are relatively small. If you’re a novice player it’s best to play with small stakes until you know the ropes of the game. The reason why we said ‘live’ is that players tend to trust a casino where they can see the real wheel, they can interact with the dealers and with fellow players. The only downside to live roulette is that the gameplay is slow and free play is not available. The roulette wheel at an online casino can be adjusted so that it spins faster. Most systems sold today rely on the practice of increasing your bets after a loss. Systems such as Sniper, Robber, Fibonacci, Holy Grail and Ultimate look mathematically sound but they’re not, avoid these as far a possible. Roulette players will win most of the time but how can you ensure that you’re not walking away a loser? You can’t! Live casinos complete one spin a minute, therefore it will take approximately an hour to recover a loss. The only way to win at roulette is to be methodical about it. Remember the longer you play the more likely you’re going to lose because the house always wins over the long run. Roulette is one of the most popular games in gambling. You can bet on even chances Black/Red, High/Low, Odd/Even, on single numbers or any other number, the sky is pretty much the limit. Despite being one of the easiest games to play it’s difficult to become really good at it. In summary. What does the experienced roulette player do? They play smart, they choose where to play (preferably a French or No Zero table), they know when to stop playing and they use Bitcoin to get their cash in and out the casino because it’s safe, secure and it’s fast! Before you play read the fine print first and if you accepted a bonus ensure that you’re familiar with its terms and conditions. There’s no doubt that Bitcoin is the future, it bypasses local regulation and it’s become the deposit method of choice for thousands of casino players.